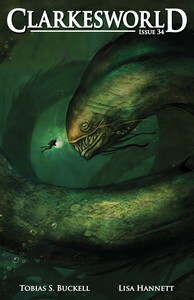 The May issue of Clarkesworld Magazine is now online. If you like what we do, please consider participating in our citizenship drive by making a a donation or purchasing a book. 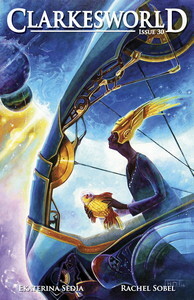 On the 15th of May, our podcast will feature A Sweet Calling by Tony Pi. 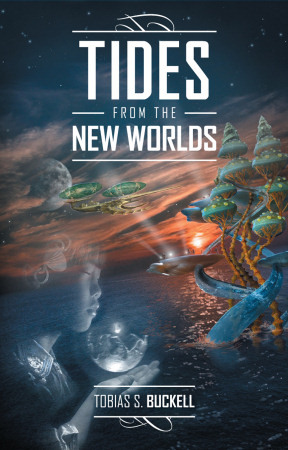 The Kindle edition of this issue will be available early next week. Hey Eamonn, what did that big truck just deliver? Nice. Why don’t you hold it a little higher so I can see who wrote it? 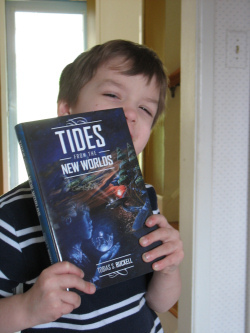 Many pictures later… ok, box of books, can you sit still better than a 6-year-old? Thank you! 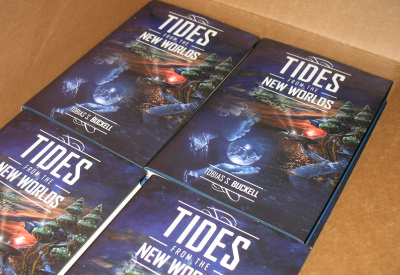 That’s TIDES FROM THE NEW WORLDS the signed limited edition short story collection by Tobias S. Buckell! YAY! 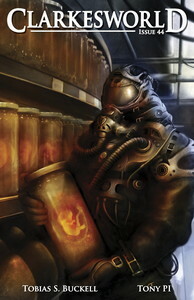 The March Issue of Clarkesworld Magazine is now available online. 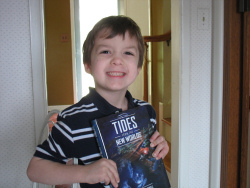 The results from our 2008 Reader’s Poll are included in this issue. I finished tallying the votes this morning and was surprised by how many votes I had to toss. We had some ballot stuffing last year, but nothing like this. One person tried to vote 21 times.